Alex was very helpful and was determined to see us drive away in a much needed vehicle. Thank you for everything, and we are gonna recommend you to everyone we know. Jose is the absolute best! He made purchasing my first vehicle very easy and smooth. I left the National City location confident that me and my family will no longer have to wait on public transportation to get through our everyday lives. He was very professional and informative! 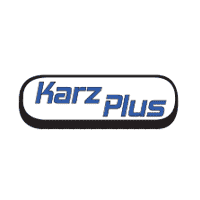 Let’s cut to the chase - if you’re credit is not all the great, you can’t afford to buy a brand new car, and you desperately need one..Karz Plus is where you need to go! All the staff there was very welcoming and friendly. I am completely satisfied and blessed with the vehicle I purchased! !2014, low miles & runs excellent! !Donna B. Got my first car. Low payments and good deals. Great service. Recommend Jose.